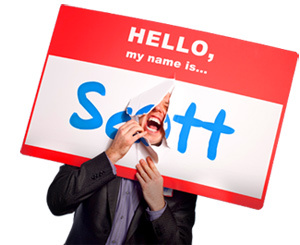 134 Questions Every Salesperson Should Ask - HELLO, my name is Scott! 1. How do you measure the value that you create? 2. Are customers asking IF they should use you; or HOW they should use you? 3. Are customers resisting the product or are they resisting you? 4. Are you delivering small promises first? 5. Are you gaining confidence early enough? 6. Are you increasing fee or increasing value? 7. Are you making people want to stand in line and pay higher prices than they know they should? 8. Are you making sales or transactions? 9. Are you selling yourself on yourself first? 10. Are you measuring satisfaction, loyalty or insistence? 11. Are you offering or pressuring? 12. Are you selling or transferring love? 13. Are you presenting or hurling? 14. Are you providing options or answers? 15. Are you pushy or persistent? 16. Are you saying it or proving it? 17. Are you selling on value or price? 18. Are you selling or enabling people to buy? 19. Are you selling or solving? 20. Are you selling price last? 21. Are you spending more time 1) educating potential customers on the benefits of your service, or 2) telling them why you are better than the competition? 22. Are you talking to the right person? 23. Are you using informational follow-up? 24. Are you willing to refer your customers to someone else? 25. Are your customers buying on value or price? 26. Can they write a check to acquire that value? 27. Can you help me understand why there is still some uncertainty? 28. Can you sell the same customer again? 29. Did you get a referral today? 30. Did you give a referral today? 31. Do people feel a valid reason for your persistence? 32. Do you have a list of questions you need to ask? 33. Do you know where your leads are coming from? 34. Do you need this sale? 35. Do you refuse to go away? 36. Do you view the sales process as adversarial or supportive? 37. 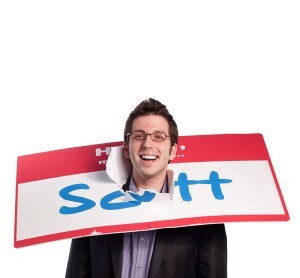 Does your customer need your salesperson to buy? 38. Have you answered the questions they are likely to ask? 39. Have you ever made an exception? 40. How are you appealing to the customers OF your customers? 41. How are you correcting the misconceptions that exist in the minds of your prospects? 42. How are you educating your buyers? 43. How are you helping your customers build their business? 44. How are you ringing your register? 45. How can you put more decisions in the hands of the customers? 46. How could you make your prospecting a profitable venture? 47. How could your product give more status? 48. How do you appear on you buyer’s radar screen? 49. How do you complete the sale? 50. How do you demonstrate that you are going to be a good person to work with? 51. How do you demonstrate that you can be trusted? 52. How do you demonstrate that you understand? 53. How do you demonstrate that you’ve listened? 54. How do you help people get beyond their misconceptions? 55. How do you improve your client’s condition? 56. How do you reinforce buying decisions immediately? 57. How does your customer make a buying decision? 58. How does your past answer clients’ needs now? 59. How easy is it to do business with you? 60. How good are you at selling yourself? 61. How long is your average sales cycle? 62. How many appointments did you have last week? 63. How many appointments did you set today? 64. How many customers do you really think read your literature? 65. How many of your prospects come to you self-qualified? 66. How many profit-based ideas are you bringing with you? 67. How many unsolicited referrals did you get last week? 68. How many ways are there to deal with the competition? 69. How much is one new customer worth? 70. How much time did you spend doing your homework before the sale? 71. How much time do you spend every day trying to get new customers? 72. How much time each day do you spend selling yourself to yourself? 73. How often are you a customer of your customers? 74. How often are you in front of people who can say yes to you? 75. How soon are you engaging your audience? 76. How transparent are your underlying motives when you’re selling? 77. How well do you time your questions? 78. How well do your prospects know you? 79. How will the prospect be better off having communicated with me? 80. How willing are you to walk away from a sale today? 81. If I’m getting this much help for FREE from this person, how much better off would I be if I actually hired him? 82. If you owned this (x), how would you be using it? 83. If you were standing in front of a room of 500 people, all potential customers, and you had 30 seconds to win them over, what would you say? 84. Is that your direct personal experience, or are you quoting someone else? 85. Is the threat of rejection yours or the prospect’s? 86. Is there a budget you want me to stay within, so that I can formulate my proposal accordingly? 87.	is your audience likely to be unobservant about important considerations? 88. Is your audience likely to have been influenced by popular misconceptions? 89. Is your audience’s perspective likely to be narrow? 90. Is your audience’s understanding of the problem likely to be as clear as yours? 94. Once the contract is signed, what congratulatory gift could you offer that compliments your service? 95. Were you too anxious to make the sale? 96. What are the benefits you’d like to see as a result of working together? 97. What can you do in advance to prepare for this task? 98. What can you do right now to create greater trust on both sides of the sale? 99. What can you say that will clearly underline the benefits for this customer? 100. What could you do to reduce your customer’s perception of risk? 101. What did you sell today? 102. What do you offer that’s unavailable anywhere else? 103. What evidence do you see that proves the success of our efforts together? 104. What if everything went perfectly? 105. What information will prove that what you’re doing is making the difference you said it would? 106. What is the customer buying? 107. What makes it so hard to decide? 108. What other days of the year will customers probably need your product or service? 109. What questions about your product would you anticipate from a skeptic? 110. What questions are your customers afraid to ask you? 111. What specific change do you need to make in yourself in order to get the desired change in the other person? 112. What would you do if you knew this customer needed your services tomorrow? 113. What’s your portable sales force? 114. When buyers come to you, how do you respond? 115. When was the last time you asked specific questions to see exactly what your client wanted? 116. When was the last time you asked your typical prospect how they make a buying decision? 117. When was the last time you bought something from a door-to-door salesman? 118. When was the last time you made an appointment for before 9 a.m. … or after 5 p.m.? 119. Where are prospective customers going to look for you? 120. Where do most of your competitors “drop the ball”? 121. Which of these ideas excites you? 122. Which way do you sell? 123.	Who (or what) is selling when you can’t? 124.	Who are the customers OF your customers? 125.	Who can veto any initiative in this area? 126.	Who can you think of that deserves to be treated the same way I have treated you? 127.	Who can you think of that would find these ideas valuable? 128.	Who will be held accountable for success or failure? 129.	Who will people look to in order to understand whether this is real? 130. Whose opinion matters most about how things are done here? 131. Whose support is vital to success? 132. Why would anybody want to do business with you today? 133. Will you assure me access to you, personally? 134. Will you work with on this as a partner for as long as it takes?